Because CheckVideo is intelligent, it watches and indexes (just like Google) relevant information contained within all event clips. It stores them securely in the Cloud, ready to be the instant result that you can share with anyone. The results you need in the time it takes to type “what?” and “when?”. 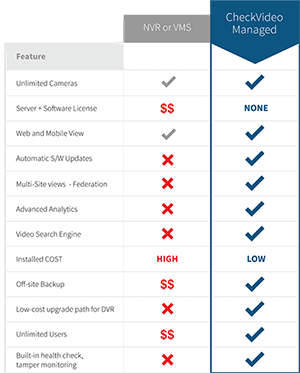 No matter if you are a security integrator, monitoring provider, business operations director or industry end user of video solutions, there’s actually much more to CheckVideo than SEARCH. Begin your journey by filling in the form on this page; we will respond within one business day.